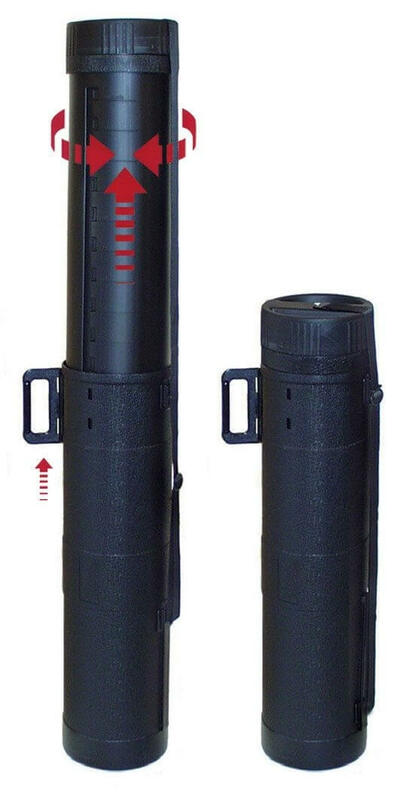 This rugged plastic tube features 1/2" protective foam in top and bottom. 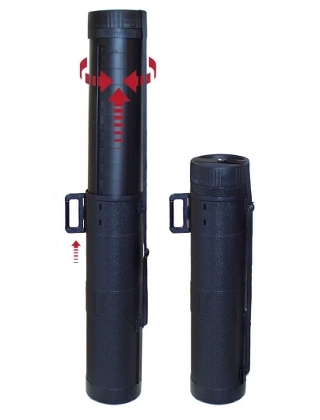 Extends from 31" to 54" in length with a 6-3/4" inside diameter. Includes a comfortable, adjustable carrying strap and a removable carry handle that adjusts for load balance. Use for storing or carrying drawings, architectural plans, trade show graphics, or almost anything! Weight limit: 7 lbs.